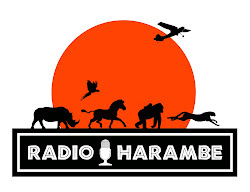 Jambo Everyone: Episode 118 of Radio Harambe - Call Him Pandora Mike! Episode 118 of Radio Harambe - Call Him Pandora Mike! Safari Mike has returned from his first exploration of Pandora and it is time for hosts to compare their thoughts on the new area of Disney’s Animal Kingdom. You will be shocked at who take which side of this debate! They also get you up to date the latest news from the park.